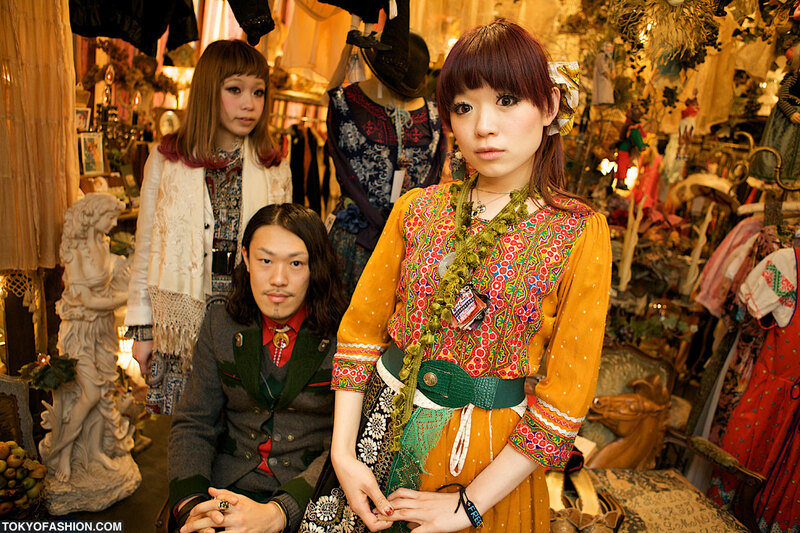 Pictures of beautiful vintage and Dolly Kei fashion from the 3rd anniversary party of Grimoire Shibuya, one of Tokyo’s most popular vintage clothing boutiques. 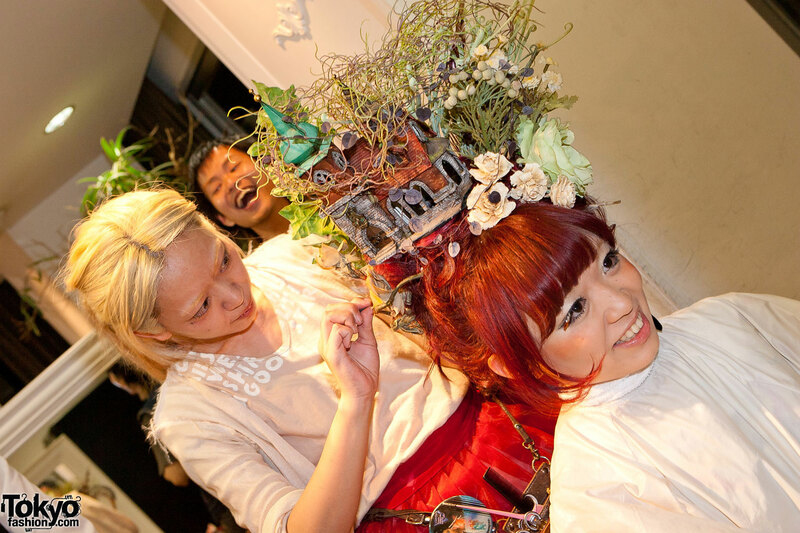 The first of two exclusive photo reports on the 3rd Anniversary Party of Tokyo’s beloved vintage clothing and Dolly Kei fashion boutique, Grimoire. 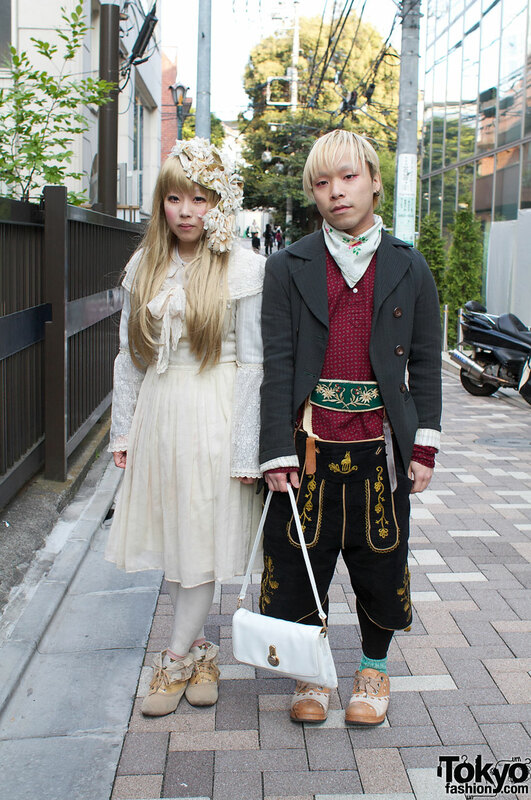 Cute Japanese couple with vintage dress and resale ledershosen. Two stylish Japanese girls wearing outfits from Grimoire, a brand popular in the Mori / Dolly antique fashion scene in Tokyo. 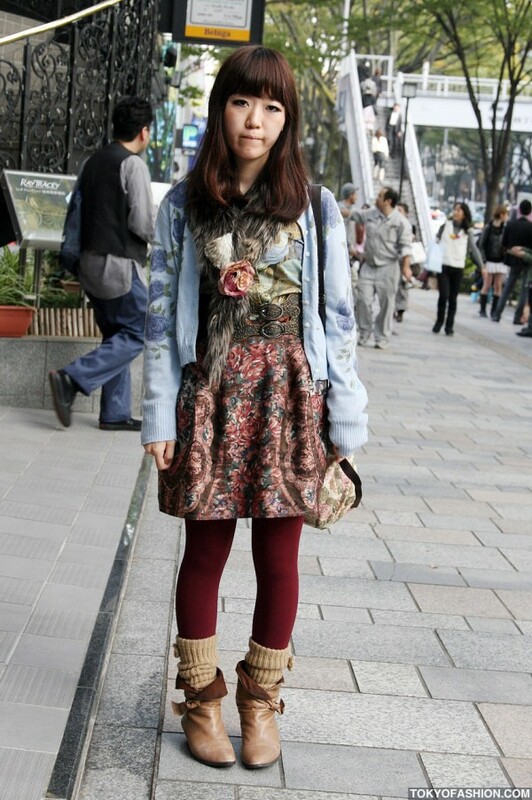 A Japanese girl in Harajuku wearing an outfit featuring a lot of flowers and vintage/resale shop items.